Santa’s Elves had failed to include a note, so we didn’t know who the gift was from. 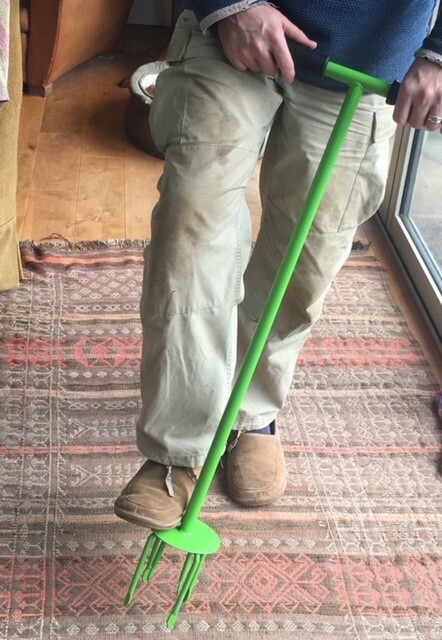 We quickly guessed it was from our friend Derek, he of the Cider Motion Picture and the Boot Rack, as he has past form in the giving of mystery garden tools, which turn out to be fantastically useful, thanks to his own veg growing experience. The second mystery, to us at least, was what exactly was this tool? Of course you all know, it’s a Garden Tiller for hand rotavating the soil. Which Emma has duly tested to weed some of our raised beds in January ahead of their Spring compost mulch, and declared it to be ‘fantastically useful’. So looks like Derek might had made another early bid for our occasional ‘tool of the year’ award! 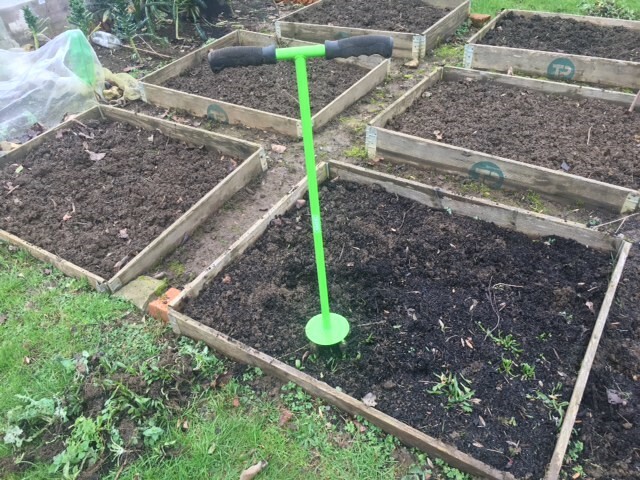 This entry was posted in Garden and tagged award, boot rack, Christmas, cider making, Emma Alesworth, gardening, hand tiller, Paul Rainger, Smallholding, soil, The Secret Acre, tool of the year, tools, veg growing, veg patch by paulrainger. Bookmark the permalink.